AkzoNobel is determined to provide the best solutions for its customers. And all of its Technical Representatives play a crucial role in delivering these solutions to the end-users. The TopGun program is a global AkzoNobel initiative focussed on continuous education to ensure employees have up to date knowledge on all current products, processes and industry practices along with skills development. A combination of theory, practical tasks and presentation skills assessment, the TopGun is designed to assess the professional and interpersonal skills of its technical “team”, ensuring that they consistently deliver the best solutions for its current and future customers. The program will also assist in building tailored development plans for each and every one of the company’s technical staff. Additionally, TopGun is an industry recognised program, with each if its contestants awarded with I-CAR platinum status, and becoming officially recognized industry-wide experts upon its completion. TopGun is run across the globe, including Asia Pacific region and this year the Australian National contest was hosted earlier this year at the state-of-the-art Automotive Training Centre in Melbourne. The winner of national TopGun will be announced on 7th of April at the AkzoNobel’s seroquel cheap prices function that takes place in Melbourne. He will join the regional Asia Pacific TopGun, which will take place in Japan later this year, as well as having his name etched in the perpetual TopGun trophy. 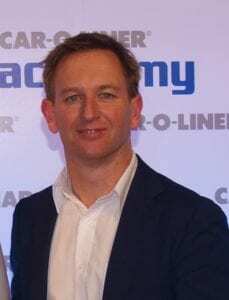 Jason Trewin, I-CAR Australia OEM and Operations manager said: “I-CAR sees this contest as a fantastic way of raising the overall standards within the industry and ensuring the highest level technical support for all. 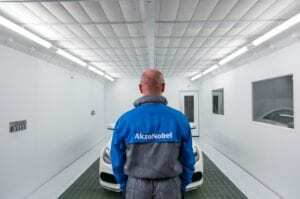 As an Industry Alliance Partner and member of I-CAR we encourage this initiative by AkzoNobel and are excited to partner on similar programs going forward”. Adam Norman, AkzoNobel Services Manager, Australasia added: “The TopGun initiative is based on continuous education and improvement to ensure that all our technical staff have up to date knowledge on all current methods, processes and industry practices along with skills development pathways. We will continue to deliver the best refinish expertise to our customers, and all our technical staff will continue to represent a highly professional team in the marketplace”.